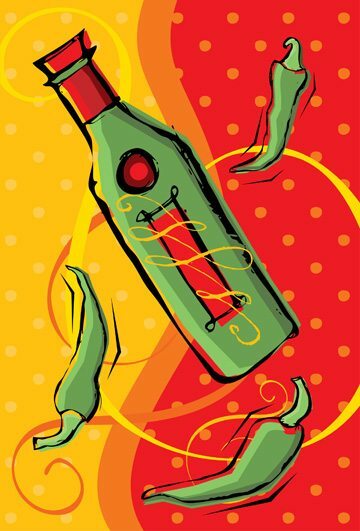 Chillies and vodka... for longer, stronger hair? Home / Hair / Chillies and vodka… for longer, stronger hair? Chillies and vodka… for longer, stronger hair? Would you dare to try this hair mask? Mexican fashionistas swear by its hair raising benefits! And it’s simple – chop one jalapeño pepper into tiny pieces and place in a small ceramic bowl. Pour half a cup of vodka over the peppers and let soak for several days. Then strain out the jalapeños and rub a small amount of this tonic into the scalp every night for longer, stronger and shinier strands. Why does this work? Jalapeños stimulate the scalp and boost circulation, thereby encouraging new hair growth. Vodka, in the meantime, cleanses the scalp, removes product build-up and stimulates the growth of healthy tresses. It also de-frizzes and closes the hair cuticle by lowering its pH level. What other miracle recipes do you have for me? Drink a little vodka every night, while flipping through my Kindle? « Pssst… your scalp needs exfoliation as well!